The aim of this case study is to present effectiveness of percutaneous drainage as a treatment option of ruptured lung and liver hydatid cysts. A 65-year-old male patient was admitted with complicated liver and lung hydatid cysts. A liver hydatid cyst had ruptured transdiaphragmatically, and a lung hydatid cyst had ruptured both into bronchi and pleural space. The patient could not undergo surgery because of decreased respiratory function. Both cysts were drained percutaneously using oral albendazole. Povidone–iodine was used to treat the liver cyst after closure of the diaphragmatic rupture. The drainage was considered successful, and the patient had no recurrence of signs and symptoms. 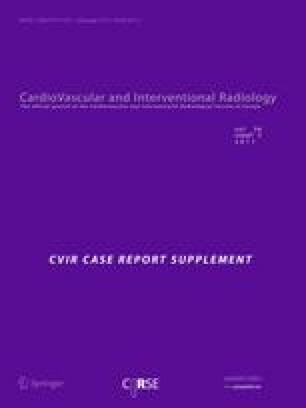 Clinical, laboratory, and radiologic recovery was observed during 2.5 months of catheterization. The patient was asymptomatic after catheter drainage. No recurrence was detected during 86 months of follow-up. For inoperable patients with ruptured liver and lung hydatid cysts, percutaneous drainage with oral albendazole is an alternative treatment option to surgery. The percutaneous approach can be life-saving in such cases. Presented at the 26th National Radiology Congress, Turkish National Radiology Congress (TURKRAD) 2005, Antalya, Turkey, 26–30 October 2005.